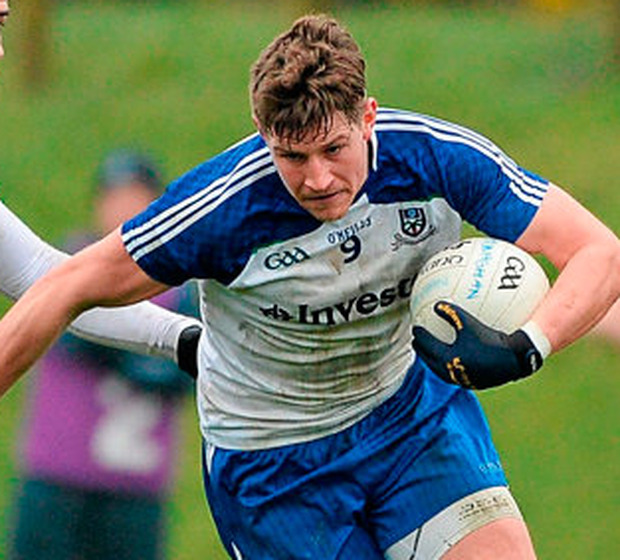 Monaghan have struggled to see out games in this Allianz Football League Division 1 and that was the most positive element to their win over Cavan on Saturday, midfielder Darren Hughes has admitted. The Dublin game on the opening weekend apart, Monaghan have failed to outscore a team in their other four games but a strong second-half show in Clones against their neighbours leaves their fate in their own hands. "If you compare it to last year when people were going on about the great league we had, we won three games by a point and one by two points. The big difference this year is that we have been coming out the wrong side in those tight games," said Hughes. "But nothing happens by chance and the difference today was that we made sure that we put in a performance for the full 70 minutes." After Mayo, Kerry and Dublin, Monaghan have the longest Division 1 residency and it's a badge of honour that they are keen to maintain, helping to carry them to wins over Kerry (three times), Dublin (twice), and Mayo and Tyrone on other occasions. "If you look at the 'Super 8s' last year, seven of the eight teams came out of Division 1. It is the place to be because you are playing against top-quality opposition every weekend," said Hughes. "We went down to Division 2 before and we did not find it that easy, ending up in Division 3 a year later. "We have a lot of young guys coming through who have a lot of quality and we really feel it will stand to them being in Division 1 year in, year out. "But we are not there yet for next year and we have another big game coming up next weekend," he said, referencing their trip to Castlebar to face Mayo where they won in the opening round of the 2017 league. Win there again and their place in the top flight is secure for another year. Otherwise, they are looking over their shoulder for Roscommon's result at home to Kerry. The fact that Kerry were beaten by Mayo at the weekend leaves Peter Keane's side looking for a point to be certain of a place in the final which can only benefit Monaghan's cause.